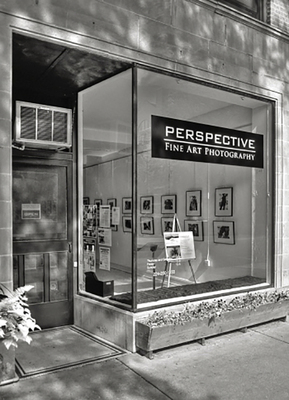 Perspective Group and Photography Gallery is a not-for-profit, community-oriented cooperative whose purpose is to promote fine art photography. In addition to ongoing group and featured artists exhibitions, the gallery features: a guest speaker lecture series; monthly artist talks; an annual, international, juried exhibition; and an annual juried show for Chicago-area high school students. The members of Perspective Group and Photography Gallery bring a rich blend of experience and focus to the gallery. Members’ work has been shown at galleries, colleges, libraries and in publications and juried shows across the country. The artistic styles and techniques of the members include traditional film, digital, alternative processes, mixed media, collage and encaustic art. The gallery’s current board of directors is: Bill Bridges, Suzanne Metzel, Christopher Schneberger and Donna Spencer. Thursday - Saturday 12-6 p.m.